The experts at Contractor 20/20 know the ins and outs of developing and designing high-quality websites. In order for a website to be truly successful, and attract all sorts of new potential customers, it needs have several key components. Aesthetically Pleasing – In other words, a website should be attractive and professional; viewers should want to keep looking at it. Search Engine Optimization Friendly – Important search engines should be able to easily crawl and index the site. Optimized For Your Market – The site should be presented to searchers that are actively seeking what you have to offer. Structured For Conversion – The content on the site should encourage visitors to become actual customers. It should also be there to satisfy the search engines and add validity to the site as being an authoritative site. Targeted To Motivate Your Best Customers- Before we even start discussing website design we research who your best customer is and develop ways to appeal to them on the site. Mobile Friendly or Responsive- A responsive design website automatically adjusts to fit different screen sizes for easy viewing on any device. 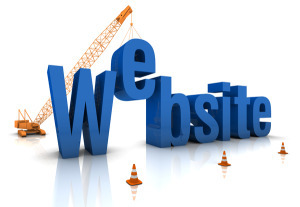 With Contractor 20/20, you can be assured that your website will have all the components needed to make it successful. Our team of internet marketing professionals offer a variety of services designed with your needs and goals in mind. At Contractor 20/20 we strongly believe that your website and domain name should be your property. We have a policy that we never rent websites or domain names. We will even show you how to update the site through a client management system, and we can help you purchase a domain name under your company name.